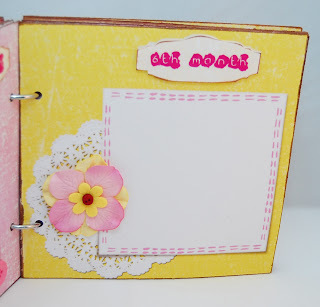 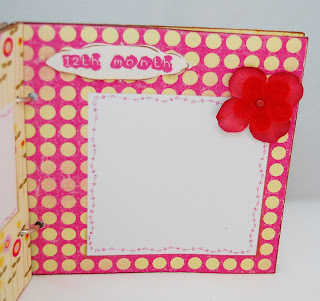 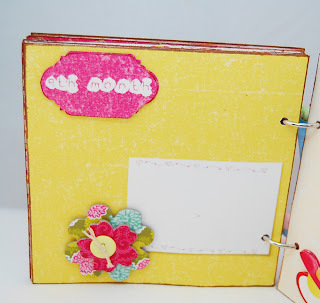 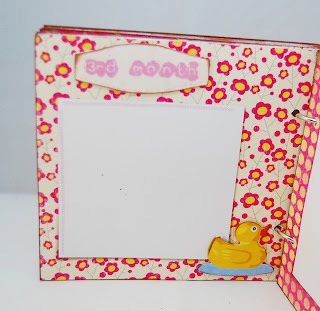 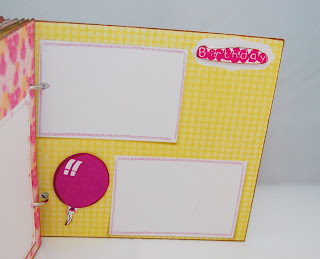 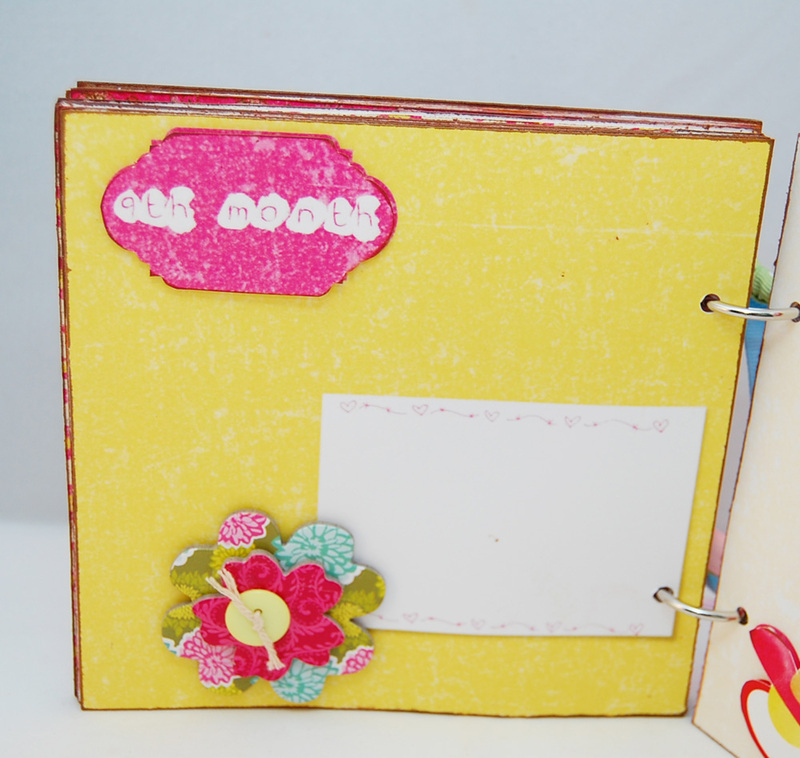 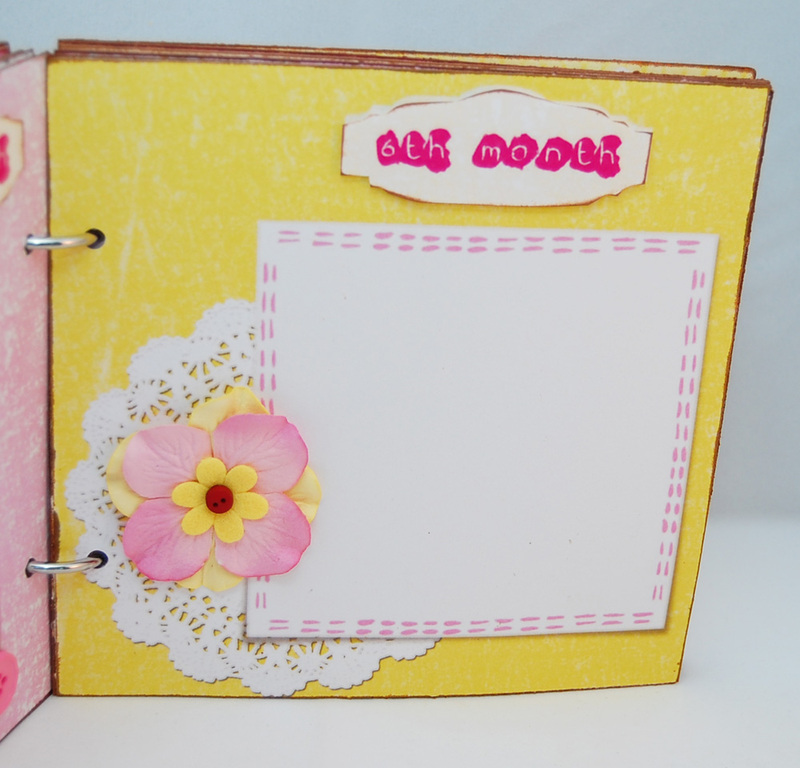 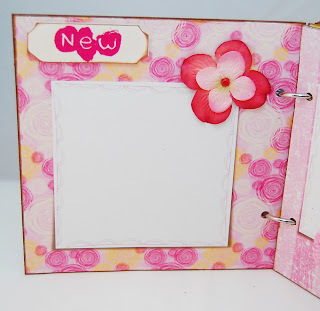 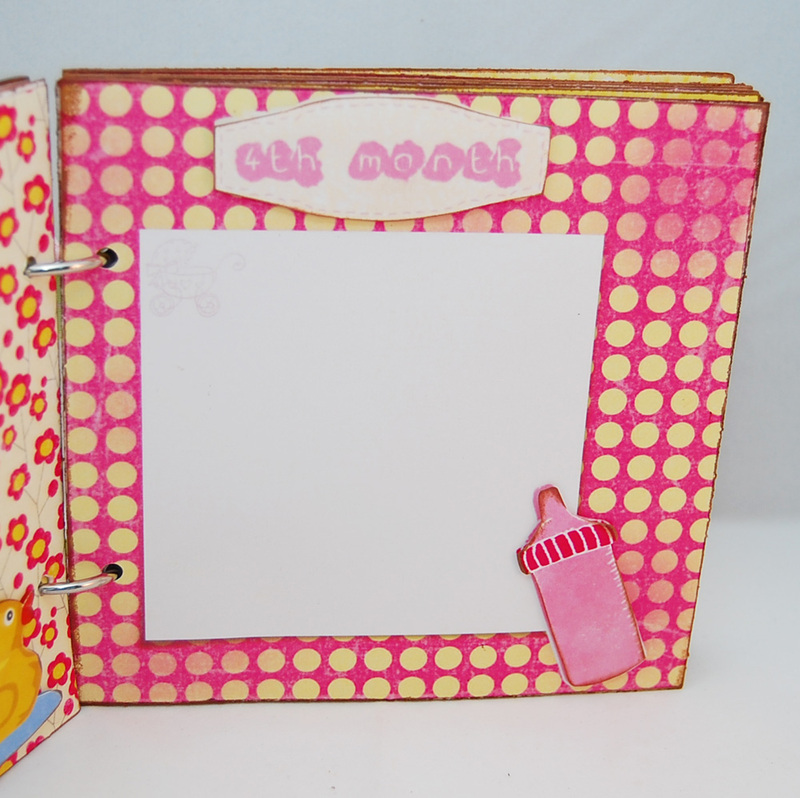 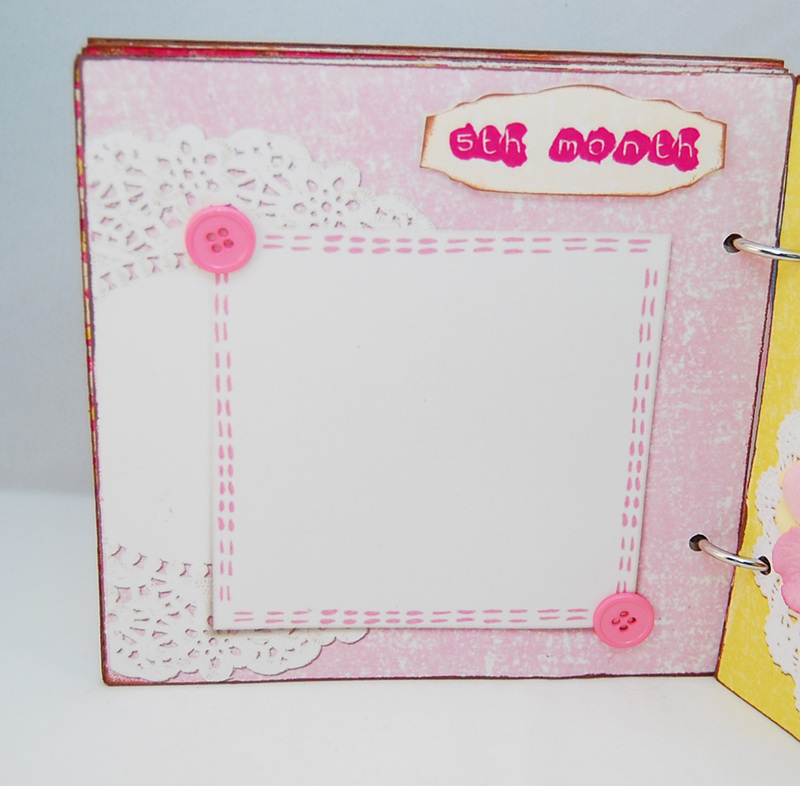 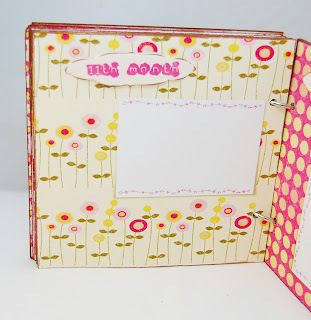 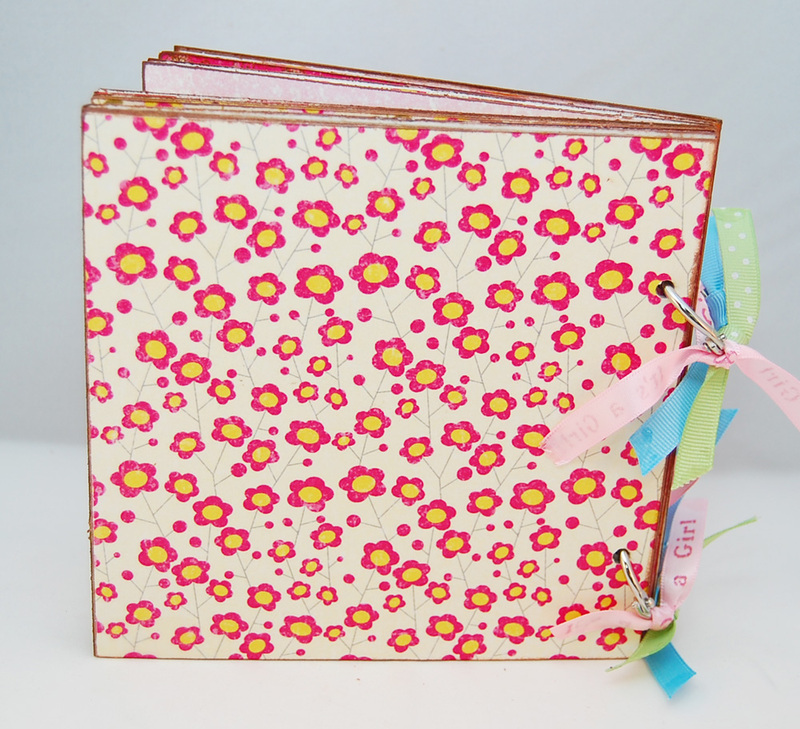 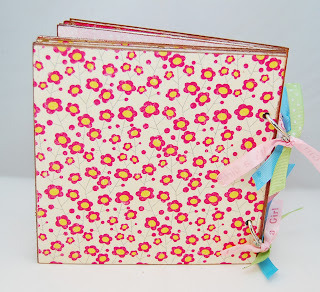 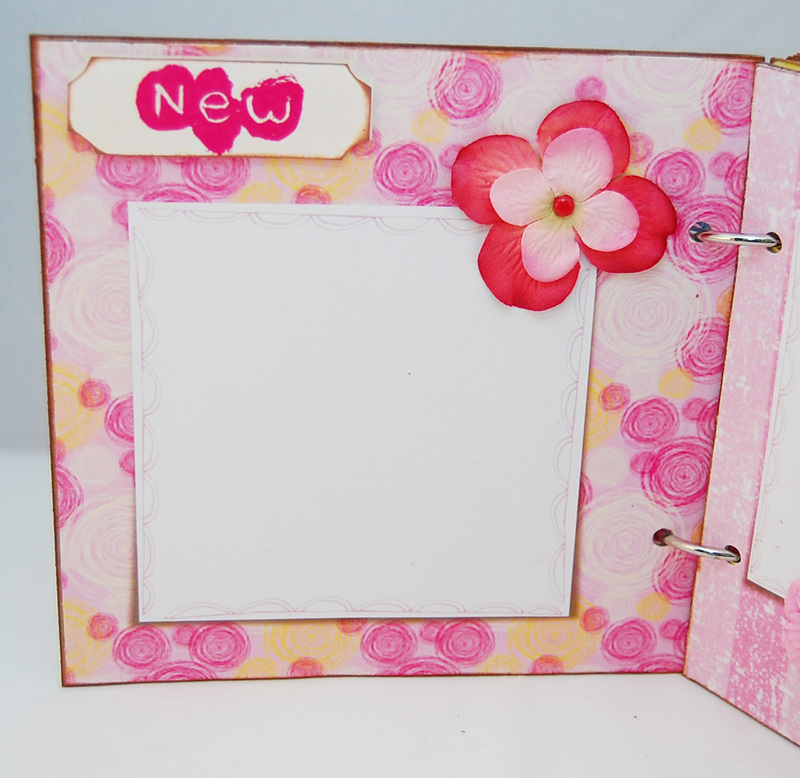 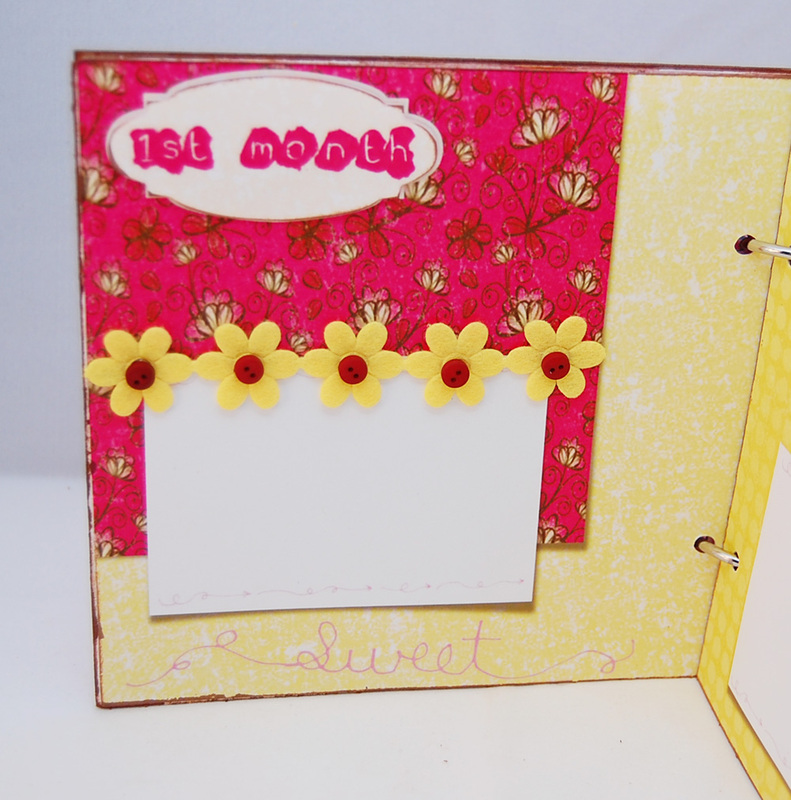 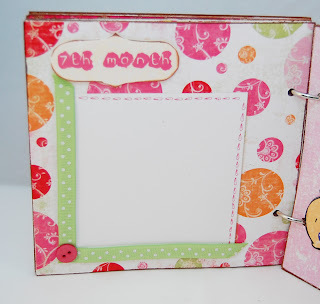 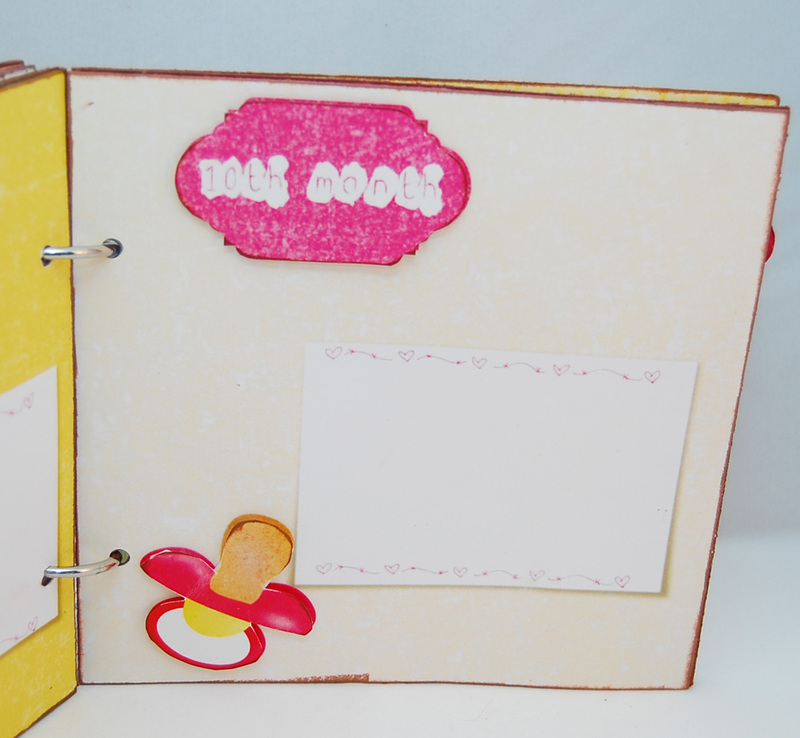 This scrapbook photo album is perfect for a new baby girl and best for a birthday, baby shower or a wonderful gift for a new mother. 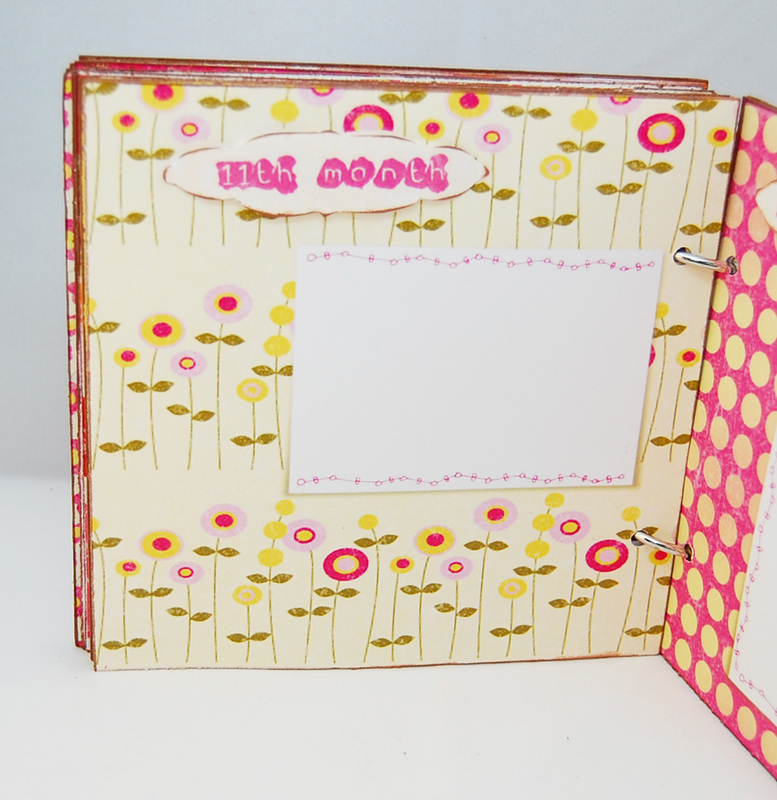 The size of the album is 6x6 and accommodates pictures 2 1\/2 x 3 1\/2 (wallet size) and 4x4 in size. 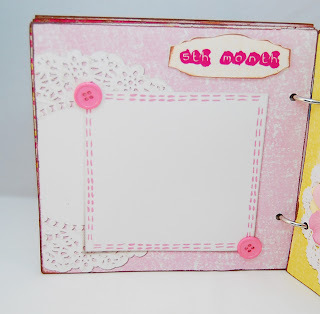 All pages are colorful and are made using coordinated papers. 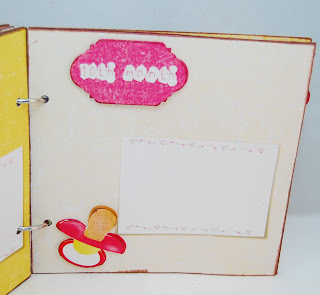 The album is created in such a way that you have a double page for pictures of "new arrival", then one page for each month of the first year of life of the baby, and lastly a double page for the baby's first birthday. 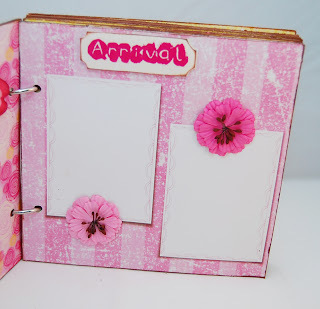 In total you have 16 pages to record your memories.